More than fifty per cent of murders in Australia each year are classified as ‘domestic’, that is, they involve a death caused by a family member, whether it be a mother, father, partner, child, brother or sister. One in five family murders in Australia has no known or recorded reason. Stories include Sef Gonzales, Martha Rendell, Robert Farquharson, Keli Lane, Matthew Wales, Andrew Kalajzich, Frederick Bailey Deeming, Caroline Grills + 14 more. 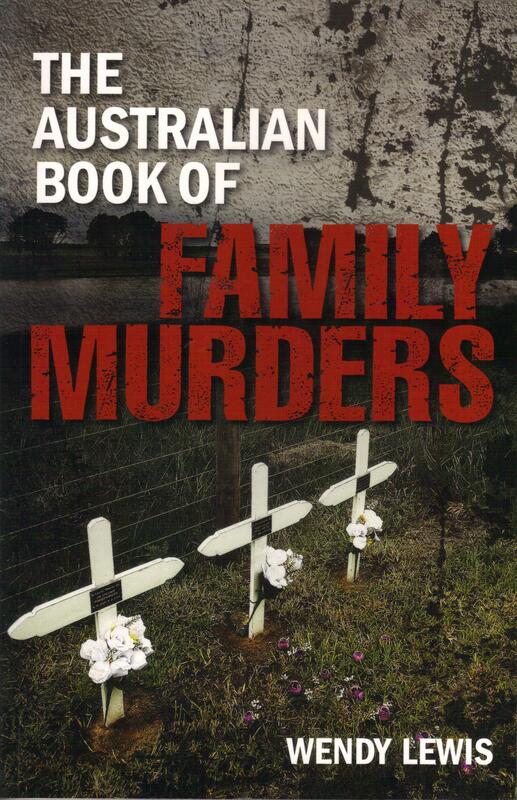 The Australian Book of Family Murders was short-listed for the Davitt Awards for Excellence in Crime Writing in 2012. Out of interest, this is a preliminary mock-up for the cover. Cloudy sky, bright red writing. Interesting to compare.